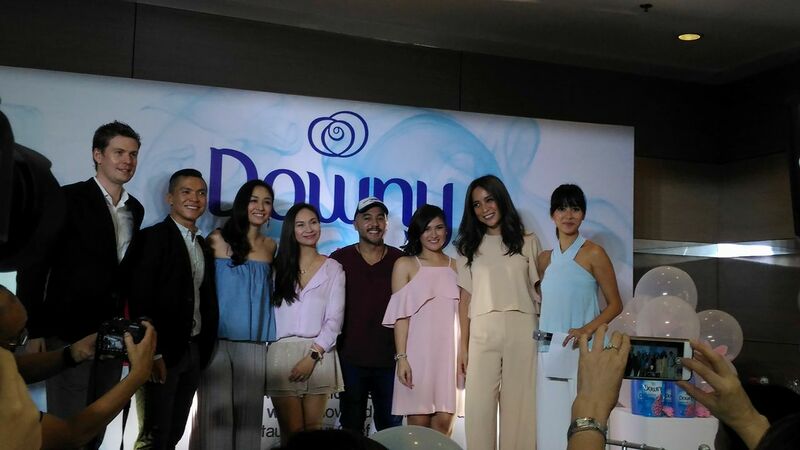 Selected mommies and the media were treated to a live cooking demonstration by Chef JP Anglo as Downy presents its best formulation in fabric care that also eliminates tough to remove smell on clothes. 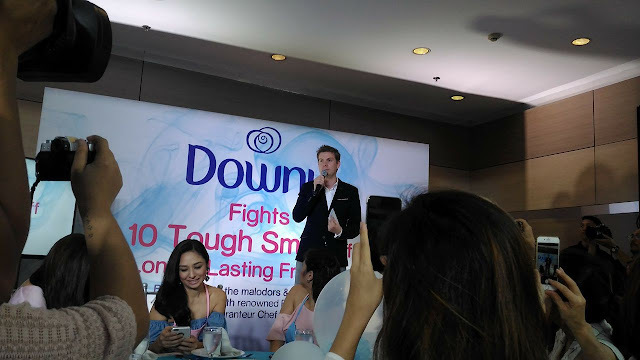 The #DownyBoomBoomPow campaign invites the guests to identify the top 10 tough malodors they face in their daily routines and prove that the newest Downy innovation is the solution to this dilemmas. 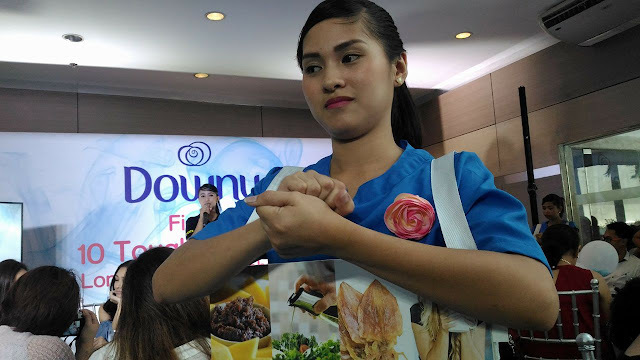 Prior to the cooking demonstration, the guests were given aprons to wear and unbeknownst to the guests, the apron is pre-washed with the latest Downy fabric softener. The cooking demonstration was held at The Cookery Place and it was literally jam-packed as almost every one is eager to watch Chef JP prepare Grilled Vietnamese Pork Belly and Sizzling Sinigang Fried Chicken with Batwan Gravy. There’s also Grilled Bangus with Burong Talangka. These dishes are really aromatic and the smell clings to clothes. And it was really quite surprising since the aprons worn by the guests still smells fresh and clean even if it was exposed to the heat and food smell. In a recent survey done re: malodors, the Top 10 malodors on clothes are: vehicle exhaust, cigarette smoke, smoke from burning garbage, sweat and body odor, wet socks, kulob (damp smell), fried fish (especially tuyo), barbeque, garlic, and onions. This latest Downy fabric softener though contains the breakthrough Malodor Removal Technology which doesn’t just mask the unpleasant smell but effectively eliminates those tough malodors that stick to clothes. It prevents the odor causing material from being released again. The Perfume Micro Capsules, which are spread and embedded on fabric while washing, will help bring back the refreshing fragrance on clothes. Together, the Malodor Removal Technology and the Perfume Micro Capsules harmoniously work to help neutralize all tough smells and create longer lasting fragrant smells on clothes every time the fabrics are rubbed.